Learn more about organic makeup. 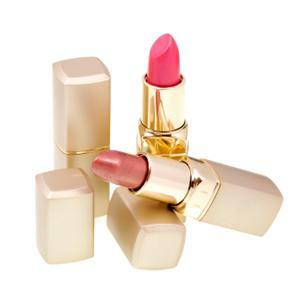 Give yourself something to smile about by adding organic lipstick to your daily beauty regimen. It's not just traditional lipsticks that are going the healthier route; even glosses and balms are quickly jumping on board. Whether your commitment to going green is a newfound interest or something you've focused on for a while, you won't be surprised to learn that all types of products, from household to personal care, are formulated organically. This means that they're made of ingredients that are certified organic. When it comes to certifying products as organic, it is widely known that the standards applied to personal care items are simply not as stringent as those applied to food. The United States Department of Agriculture (USDA) does certify personal care products with its "USDA Organic" seal if the items meet the standards of the National Organic Program. However, these standards apply specifically to food. Beauty and other types of personal care products are simply not as closely regulated as organic consumables. Whether your desire for change comes from a deep-seated belief in the cause, or you just want to find out what the fuss is all about, you can probably find a few products that will easily become staples of your beauty regimen. Though organic lipstick is less common than, say, organic foundation or blush, it's quickly gaining popularity and making a name for itself in the market. A variety of companies offer organic lip products, ranging from basic lipsticks to shimmery glosses to moisturizing balms. Organic Lipstick: Available in 17 shades, this lipstick is antioxidant-rich, nourishing and free of parabens, synthetic preservatives and other harmful ingredients. It contains safflower oil, beeswax, vitamin E and organic castor oil. Organic Lip Lustre: Available in eight colors, this ingenious product moisturizes lips while imparting discreet color and unstoppable shine. It contains orange essential oil, which adds a hint of flavor that's undoubtedly more appealing than other glosses out there. If this line's serious celebrity following isn't enough to convince you of its worth, consider these claims: All products are 100 percent organic, suitable for all types of skin, free of synthetics and full of soothing botanical ingredients. Pure Cream Stain: There's nothing like a multipurpose product to make life just a little easier. The little pot of Pure Cream Stain is filled to the brim with a chamomile-infused, shea butter-rich pigment that's ideal to use on the lips and the cheeks. The versatile lineup includes seven colors. When you aren't perfecting your pout for the long day ahead or a big night out, you're making sure it stays supple and soft. Though the Pangea Organics lineup consists primarily of body care products, the company recognizes the importance of a healthy lip balm with a sinfully good scent! Lip Balm: Available in a variety of exotic scents, such as Egyptian Fennel with Grapefruit and Sweet Orange, this lip balm is rich in healing Tamanu oil, shea butter, jojoba oil and hempseed oil, which provides sun protection. With a name like that, the company's products have some standards to live up to! Fortunately, the lineup of body care, apparel and cosmetics doesn't disappoint. All products are certified organic and vegan. Vegan Lip and Cheek Shimmer: This multipurpose product is another great choice for women on the go. The sleek packaging suggests it is best used on the lips, but don't be afraid to dab a few dots on the cheeks for a splash of color. Available in seven fashionable shades, the shimmers contain a list of all-organic ingredients, including shea butter, argan oil, macadamia nut oil and aloe vera. Of course, beauty doesn't come without a price - especially green, eco-conscious beauty. Most organic products are on the pricy side. This can be an instant turnoff for people on a budget, but others might consider that the price reflects the quality and work put into making each product as pure and organic as possible.